LINCOLNSHIRE, Ill. - Sept. 23, 2018 - PRLog -- You've heard us tell you before: proper tree care can be complex. Caring for trees, treating or preventing disease, and safely removing a tree all take a significant amount of knowledge and experience. When considering which company to hire for tree care, you should always choose a service led by a certified arborist. Such a service—like Advanced Tree Care—will always deliver superior comprehensive service. Why so much experience, across so many different aspects of the job? ISA certification means that an arborist is prepared to provide the benefit of his or her maximum expertise to the care of trees across a range of situations: from commercial or municipal properties to residential situations, through all four seasons (in our area), and in routine and emergency situations. That level of professional certification requires contending with every aspect of the job for full preparation. After successfully passing the examination, the arborist agrees to a set of ethics that will govern his or her professional behavior. The arborist then receives a certificate with the ISA seal, which designates him or her as an official ISA Certified Arborist. Certification is valid for three years, and continuing education is also required to maintain certification. Before the three years are up, the arborist must recertify, through retaking the exam or by accruing at least 30 continuing education credits. 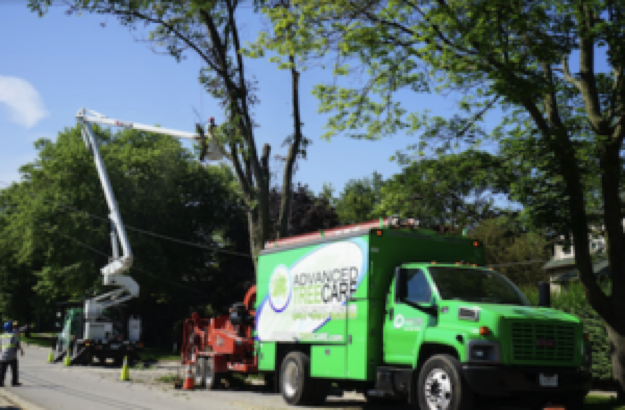 Now that you know what becoming an arborist requires, you'll understand why the professionals at Advanced Tree Care can deliver an outstanding level of service for the care of your trees.